SunPatiens: Unstoppable Flower Power for Sun or Shade! Not only are SunPatiens® the first impatiens that can grow in full sun or shade, they can’t be beat for easy care and non-stop color. Aside from regular watering, they are virtually maintenance free. Plant them, step back and enjoy the exceptional performance. 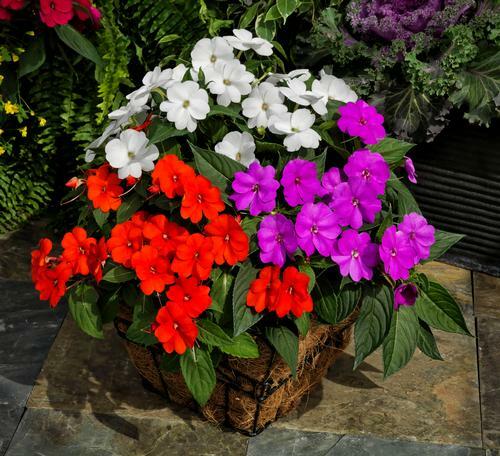 SunPatiens can be grown in baskets and containers, and as bedding plants in flower beds. With their strong, durable root systems, SunPatiens will grow quickly and fill in fast. They also offer strong sturdy stems that can tolerate high heat and humidity, rain and adverse weather conditions. And these disease-resistant plants aren’t affected by downy mildew! For the best performance, plant your SunPatiens in a well-drained spot. If you have clay soil, amend it with peat or compost when transplanting. The location can receive full sun or as little as a few hours of sunlight. The variegated leaf varieties are great options for locations with heavier shade. During the first few weeks following transplant, don’t allow the soil around the SunPatiens to dry out. If they happen to wilt, increase the amount of water you’re applying. It’s best to do the watering early in the day. If mulch is used, avoid mounding too much close to the base of the plants, as this could cause stem rot. SunPatiens do not require much fertilizer. If a liquid fertilizer is used, only apply 1/3 of the recommended rate and don’t apply more than every 2-3 weeks. 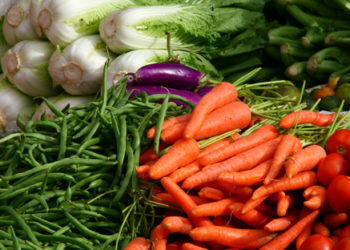 If a slow-release fertilizer is used in the soil, apply at half the rate. Too much fertilizer will result in less flower production and leaf-tip burn. In most cases, SunPatiens should not be cut back to control size, but if they get taller than desired by late summer, they can be cut back by taking off the top 1/3 of growth. 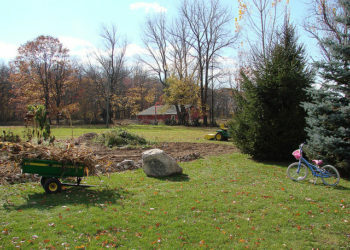 New leaves and flowers will cover old blooms, so there is no need to remove old flowers or cut off older growth. Now sit back and get ready to enjoy the unstoppable flower show these SunPatiens will put on for you! 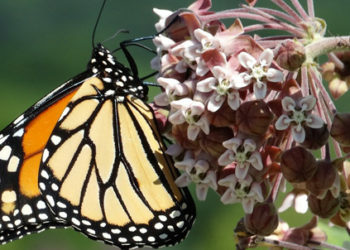 Host a Welcome Home Party for the Monarch Butterfly!